Our previous two posts have featured cities of refuge on the western side of Jordan, Kedesh and Shechem. Several passages discuss the cities of refuge, but the one that gives the most information is Numbers 35. The cities of refuge were Levitical cities. Unlike the other tribes, which were assigned allotments of land for their inheritance, the Levites were given a total of 48 cities, 6 of which were the cities of refuge. “The cities you give the Levites will include six cities of refuge, which you must provide so that the one who kills someone may flee there; in addition to these, give 42 other cities” (Num. 35:6, CSB). Further Moses instructed, “Select three cities across the Jordan and three cities in the land of Canaan to be cities of refuge”(v.14). The three cities of refuge in Canaan are set forth as follows, “So they designated Kedesh in the hill country of Naphtali in Galilee, Shechem in the hill country of Ephraim, and Kiriath-arba (that is, Hebron) in the hill country of Judah” (Josh. 20:7, CSB). Hebron has a lot of history pertaining to the patriarchs. Not only was it a dwelling place for many of them, it was also a burial-place (Gen. 23:16-20). Our photo here at Hebron was taken with the cave of Machpelah at our back. 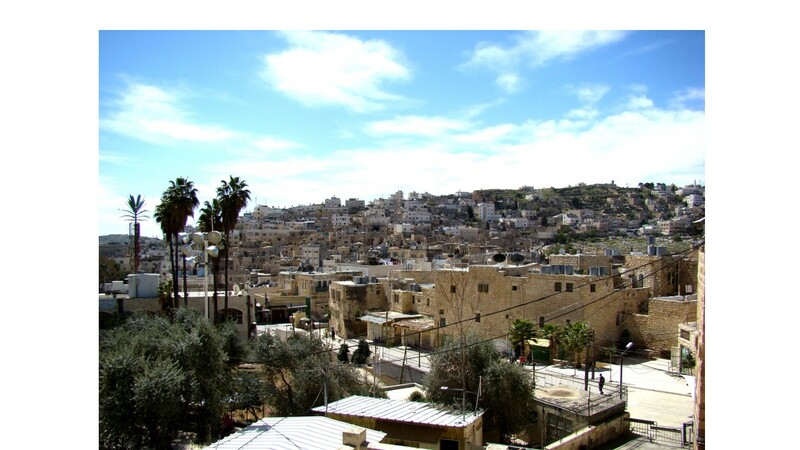 Hebron, a city of refuge. Photo by Leon Mauldin. Other posts on Hebron may be viewed here and here. For security reasons, Hebron is usually not included on tour to Israel. This morning my wife and I safely arrived in Genk, Belgium, where I am to conduct a biblical lectureship focusing on Acts through Revelation. This is an opportunity to make use of photos of Bible lands in which the events of Scripture transpired as we survey this exciting portion of the New Testament. Site of Cave of Machpelah in Hebron. Photo by Leon Mauldin. When Sarah died, the inspired narrator (Moses) tells us that “Abraham went in to mourn for Sarah and to weep for her” (Gen. 23:2). This was at Hebron. Abraham had to procure a burial place for his beloved wife. The Promise Land was to be possessed by his descendants, but Abraham owned no land in Canaan. Therefore he purchased the cave of Machpelah with its field from Ephron the Hittite. This transaction was duly made “before all who went in at the gate of his city” (Gen. 23:3-19). “After this, Abraham buried Sarah his wife in the cave of the field at Machpelah facing Mamre (that is, Hebron) in the land of Canaan” (Gen. 23:19). Later, Abraham himself was buried here by his sons Isaac and Ishmael (Gen. 25:9). In Egypt, when Jacob was near death he called his twelve sons to hear his last words (Gen. 49:1). He commanded (ESV, Gen. 49:29) that he be buried at Machpelah also (v.30), and stated, “There they buried Abraham and his wife Sarah, there they buried Isaac and his wife Rebekah, and there I buried Leah” (v.31). Herod the Great was a politician. To gain the favor of the Jews he lavishly renovated the temple in Jerusalem. Likewise, he built an impressive edifice around the cave of Machpelah, the tomb of the Patriarchs, using the same architectural style as that of Jerusalem’s Temple Mount, with similar sized stones, masonry and pilasters (engaged columns). 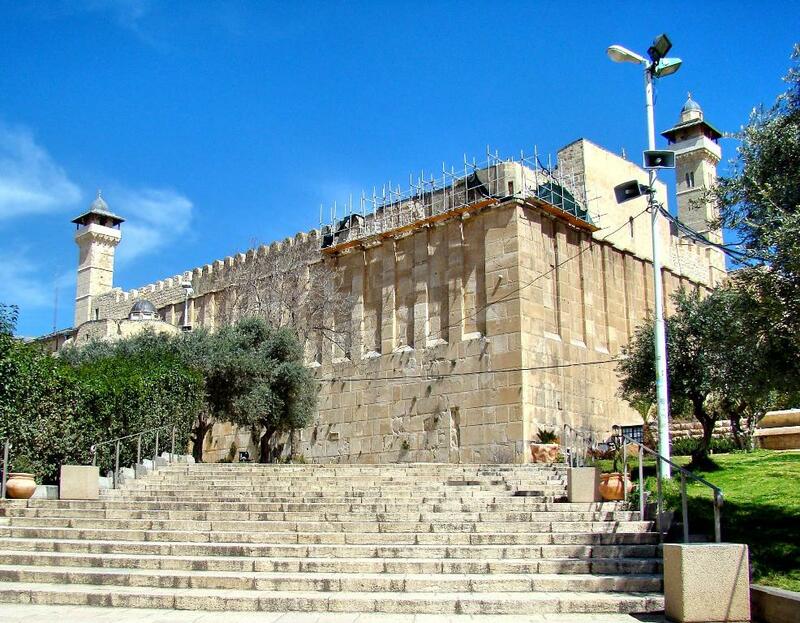 In March we were able to visit Hebron and see the traditional burial site of the Patriarchs, featured in our photo. Regarding these Patriarchs, centuries after their deaths, God said, “I am the God of Abraham, the God of Isaac, and the God of Jacob” (Matthew 22:31-32). Jesus said, “God is not the God of the dead, but of the living,”—these men, though dead and buried, were still very much alive, and God was/is still their God! The soul lives on after death; on the last day all will be raised from the dead (John 5:28-29; 1 Cor. 15:57). You are currently browsing the archives for the Machpelah category.